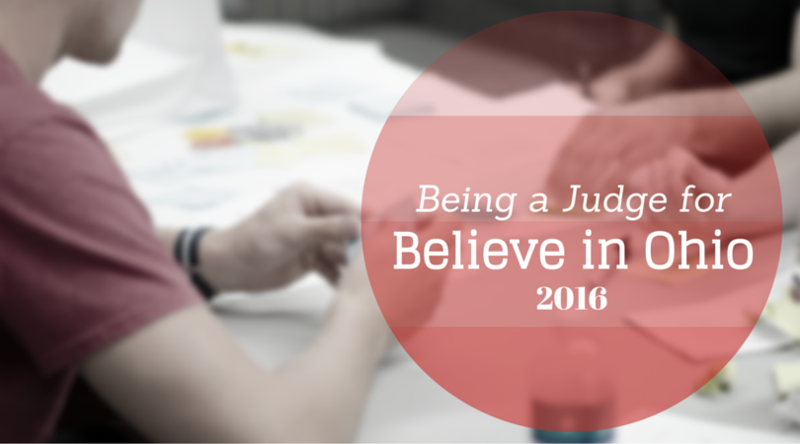 I had the opportunity to judge the Believe in Ohio competition again this year. If you're unfamiliar with it (it's only the second year), high school students from around Ohio come up with new ideas revolving around new/existing STEM principles. 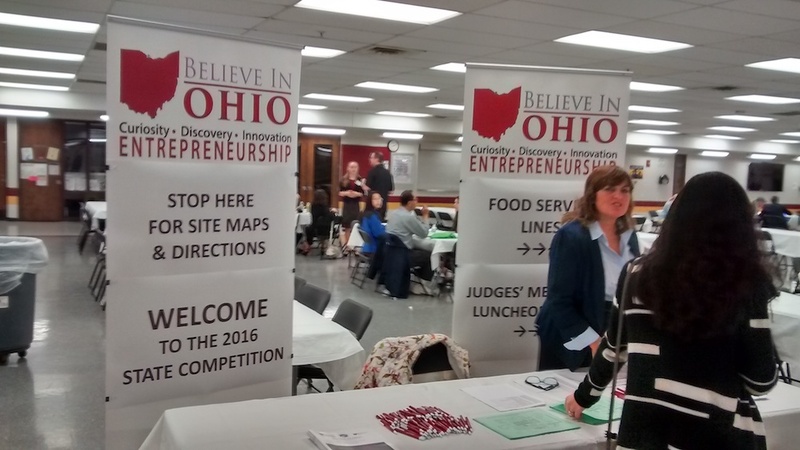 Believe in Ohio (BiO) is a free program from The Ohio Academy of Science that helps students prepare for the future. High school students can compete for cash awards and scholarships to Ohio colleges and universities based on competitive STEM Commercialization or STEM Business Plans. We hope they will pursue their futures in Ohio by inventing products and services, creating jobs, and contributing to society. Last year I only did the regional competition, which is entirely online. And while there's more time to collect your thoughts before scoring when you've got a week to review a half-dozen plans, there's a certain level of disconnectedness. Sure, a certain level of objectivity is necessary when judging, but it's a bit odd getting plans from people you don't know, providing constructive criticism that takes their age and life experience into consideration, and then just emailing it all back and you're done. 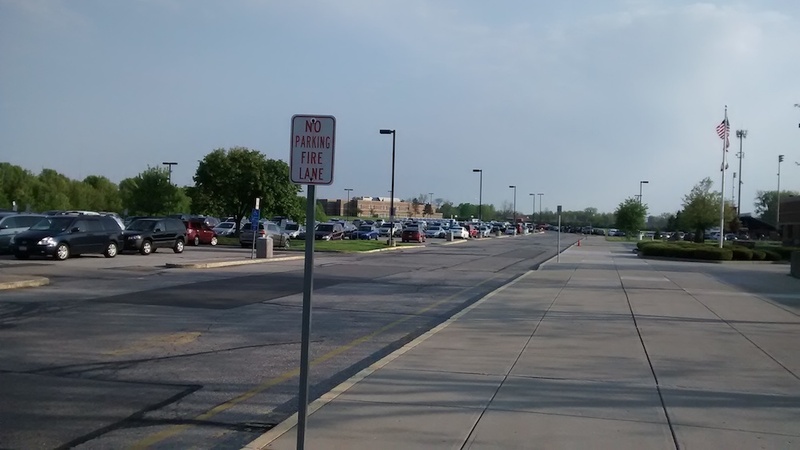 An hour before judging started, and the parking lot was already filling up. I can't imagine what it's like to be in the students' shoes, the morning of the competition. I'm not sure they presented live at their schools, and obviously they didn't for the regional (online) portion. So this may be the first time they're presenting live to people they don't know. I had assumed each student would have a booth setup and the judges would view each one. Instead, we were grouped 5 to a classroom, and the students had to stand in front of a panel of judges. They had 5 minutes to deliver their presentation, and then 10 minutes to answer any questions we might have. All 10 students who presented to us did a great job, and you could really see just how vested they were. The coolest presentations, though, were those where the student already had something working, to really show off their idea. We heard from students who had taught themselves mobile development, learned enough programming to implement algorithms, and in some cases had even built related hardware. "Welcome! Grab a map. Seriously." Were high schools always this big?? There was a young woman who presented an idea for assisting those who had trouble understanding lectures in school, whether due to disability or incomplete mastery of the English language. It included a speech-to-text app, which she had already partly written, and hardware including a braille machine and panel of LEDs for displaying text. She had to have been spending her breaks and a large portion of her free time working on this, and it showed. Then there was the young man who had taken his uncle's algorithm for cleaning up communications signals, and had built a working prototype using an Arduino, and rows of LEDs and cameras. And another young man with an idea on how to turn wasted time on the phone into charitable contributions, and had already written a mobile app that demonstrated his concept. I got to meet some really interesting fellow judges too, like a professor from OSU who's working on a cure for RSV. We had a nice conversation for 20 minutes over some breakfast, after which I had a "other judges are curing diseases, why'd they let me judge??" moment. But seriously, if you're interested in STEM and willing to provide some constructive criticism, they're always looking for more help. They had something like 10,000 students this year, and over a million dollars in scholarship money to divide. If you're interested in helping next year, I'd encourage you to email them or follow them on Twitter/Facebook. Final thought… they posted some guidelines (paraphrased here) for student mentors, but I thought they applied equally well to the judging process. Remember these are high school students who have never done anything like this before. Never belittle a student's plan idea on its face. Nurture their thinking process and draw out the essence of the problem they are attempting to solve. Not every idea needs to "change the world" – smaller or simpler ideas are important too. Not every idea needs to be original. Ideas that improve on the existing are important too. Because someone else in the world is already doing something similar does not disqualify their idea. Instead, encourage them to improve on the existing problem or solution. This competition is about STEM advances being the basis for new or improved products and services. While the application of STEM may be large or small, it should be the catalyst for the student's idea.